Payment Plan of 4 x monthly instalments of £12.99 applies to Blade Toolkit only, additional items to be paid in full at checkout. Great for tacking pet hair! 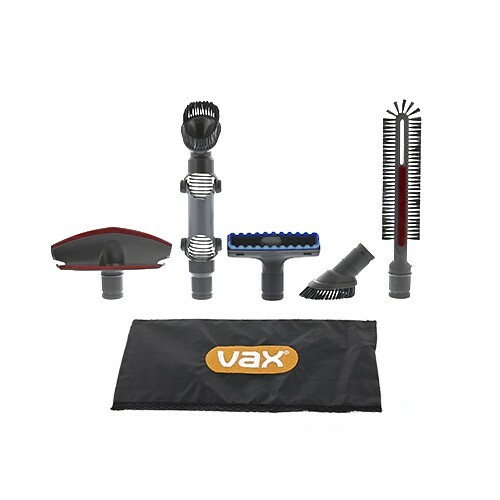 The rubber teeth are designed to agitate fine hair on both carpets and hardfloor. This tool is also great for stair cleaning! This handy tool allows you to tackle those high, hard to reach areas. It’s perfect for reaching the top of curtains, cupboards and wardrobes. Use this tool to safely clean delicate floor surfaces without scuffing them. This long and slim tool allows you to reach awkward crevices inside and behind radiators. Store away all your tools in one compact bag to ensure they are never misplaced again.